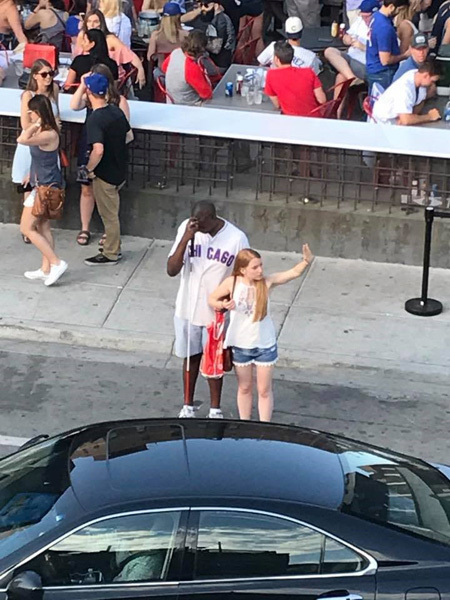 CHICAGO -- A woman's act of kindness after a Chicago Cubs game is going viral for all the right reasons. 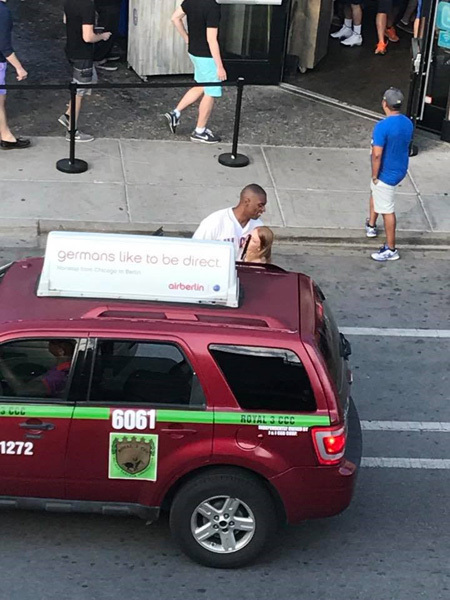 Witness Ryan Hamilton was on a rooftop near Wrigley Field on Saturday when he noticed a blind man trying to hail a cab for several minutes without success. As he continued to watch, a stranger walked up and asked the man if needed help. 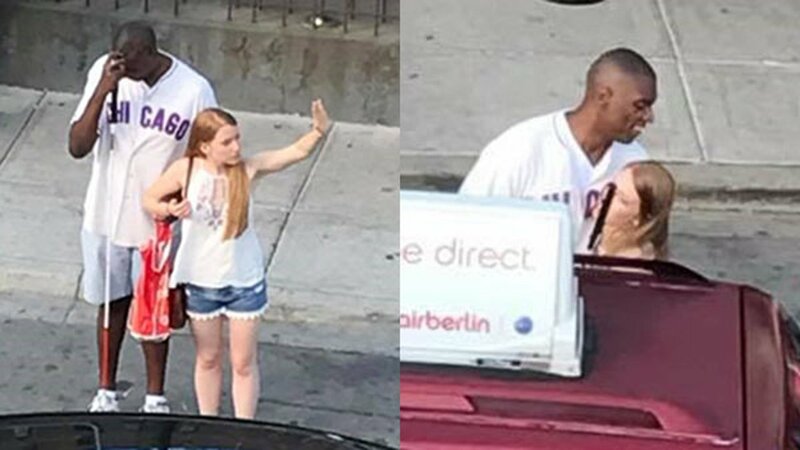 Hamilton said the young woman stood and helped him hail a cab. 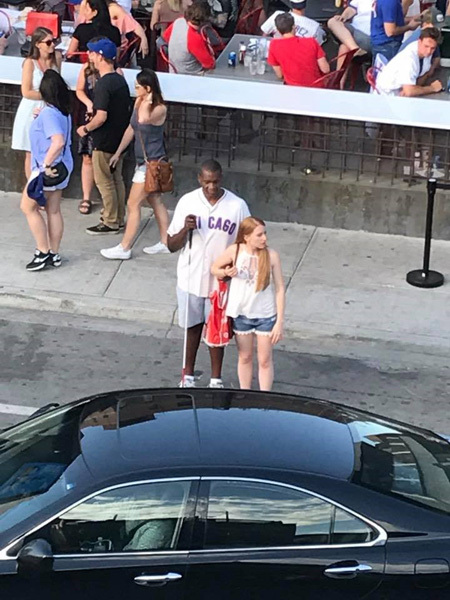 That young woman turned out to be 26-year-old Casey Spelman, who told ABC 7 Chicago she was visiting Wrigleyville with friends when she saw the blind man waiting for a cab. "I didn't really think much of it at the time," Spellman said. "It was after a Cubs game and it was still pretty crowded. I thought, 'Man, it's going to take him a while.'" After a cab finally pulled up, Spelman said she asked the man if he wanted to sit in the front or back seat and he gave her a big hug. As it all unfolded, Hamilton snapped a few photos from the rooftop and shared the sweet story on Facebook to "give her a shout-out." "Awesome to see such kindness in a world that the media portrays so much hate in," Hamilton wrote on Facebook. "Share freely in hopes that her kindness spreads." Since Saturday, Hamilton's post has been shared more than 2,100 times. Spelman said that Hamilton's post showed up in her newsfeed pretty quickly, as they are both from Indianapolis. But she's hopeful that someone can identify the stranger she helped. "I don't know if he knows how this went viral, or if he has Facebook even," she said. "I just think he'd like to know." If you know how we can reach the man seen in the photos, send us a message on Facebook.